Metzen interviews, and Azhshara rising! Plus more about the war campaign. The new Heart of Azeroth might just get it right. Flying unlocked and a giant wheel mount if you please. SOO Much more about the new summer content coming! 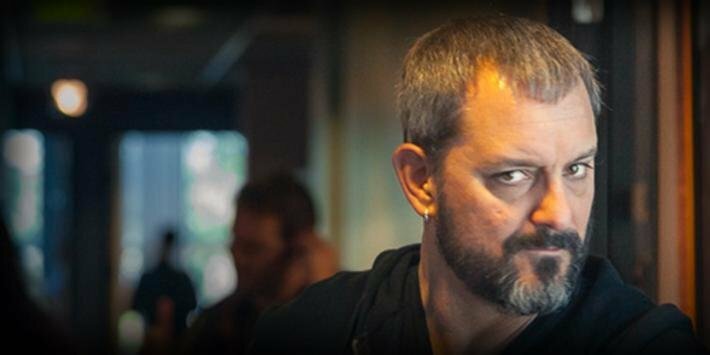 Part one in our multi-part interview series with Chris Metzen, video game legend, now retired. One part followup to our previous interviews and many parts look at the now and future of Chris, games, life and more. More old Blizz games going to GoG. What to expect in Rise of Azshara. More classic updates from Blizzard. And way more! What if 2019 is the best Blizzcon of all time? A breakdown of what we have seen in patch 8.1.5 including war campaign story, redone battlegrounds, and a little talk about PortalGate 2019. Hati is back for hunters btw. The WoW classic release plan is out there now. All the news around blizzard and more! Come to Vegas and play with us! Also, Metzen wants your suggestions! Scott gets a nice mount without even trying! Get your troll and fat pirate soon! Wowhead knows how to make a nice tool. Everything Blizz does getting shaded by last week's layoffs? More about blizzard plus your emails! A DEEP dive into everything we saw and heard this week. The layoffs, the future of blizzard, and what an angry player base is talking about. This is one to listen to for sure. Method has the method and gets it twice! Hunters can ride a pet soon and Hati fans are happy about it. Zandalari and Kul Tiran get starters. Some hot fixes and changes are here on the live server. Let the yearly Love Rocket Farming begin! Stuff brewing with Baine and Derek Proudmoore on the PTR. All around blizzard, your emails and more! Get your mythic and raid finder on this week. What do you do if you are just shy of i350? We will probably have to buy that pig. Wanna be Kul Tiran or Zandalari? Good, cause now we know what you have to do. Ion had some cool stuff to say about the state of the game in a german interview. Heroes is bumming us out. Diablo is scratching some itches again. Overwatch also has itch scratch happening with a new Paris map. Hearthstone gets hard nerfed. Your emails and more! The Battle of Dazar'alor is upon us, so get in there. We talk all about it, and some of story stuff it came with. We take a few points from the recent Q&A. Blizzard made a pretty big hire in January. Your emails and more! Raid testing, what Bungie leaving might mean for Blizzard, letting you do ANYTHING in old zones, and way more. Some deep talk about 8.1, and the cloud that currently hangs over blizzard at the moment. I think we hit some pretty thoughtful stuff so check it out. Also a look at games around blizz, and what the upcoming raid will do for WoW. And lots more! Tides of Vengeance Arrives Starting December 11. Are we ready? Battling for the trees of Darkshore. Assaulting the factions is fun maybe? Do YOU wanna look like a Blood Elf NPC? The raid is coming soon enough. Around Blizzard and more! Our BIG blizzcon wrapup is here and now! All the stuff we saw, all the stuff we liked, and a few things we didn't. A full crew today as well. Enjoy! Hold the door, and get on the train, and fiddle! Also, everything we know and don't know about Blizzcon next week. Also how the WoW classic thing is gonna work for you VT holders. And loads more!